Hi all! Today I’m welcoming one of my blogging buddies Meradeth Houston to the blog as part of her blog tour. She’s awesome, so do go over and say hi. Thanks so much for hosting me today, Misha! It’s always a treat to be on a fellow author’s blog. I thought I’d talk a little about antagonists and creating a really fun one. Well, maybe ‘fun’ is the right word, but one that gets under a reader’s skin in all the best ways. So, I’ll admit that I love a good bad guy/gal. Maybe that’s a little twisted, but it makes me a whole lot more invested in a book. Some of my favorites come from Harry Potter. Of course we have Lord Voldemort, who is obviously evil. I mean, we get that. And his back story allows us to understand how he got that way. But while we don’t like the wizard and want him gone, there are some other antagonists that really irk a lot of readers. Let’s be honest, I think anyone was upset with what happened to Dolores Umbridge. Why? I think it has a lot to do with the fact that we’ve all had people like her in our lives. I’ve read some great articles about how people project that mean teacher/boss/whoever that was out to get them on Umbridge. So, what this boils down to is a way to connect personally with the antagonist—that really helps make them leap off the page. For another Harry Potter character, let’s take Snape. The guy’s got some issues. He’s done some dumb stuff. And to be honest it wasn’t until the last book that I came to terms with the guy. The rest of the time I kind of thought he needed some psychological help (though I had some serious discussions with people who saw the good in Snape from the beginning). Anyhow, what changed my opinion? What made Snape that layered character that would be so incredible? His story. Learning about what got him to the troubled spot he was in, in such heart-rending detail, made me feel sorry for him and understand what drove him. And it wasn’t just hate and bitterness like Voldemort—nope, it was love and having to live through loss. Such a good story. But this boils down to seeing the inner conflict of the antagonist and understanding why they’re that way, to the point that on some level you might want them to succeed. I mean, sure, rooting for the hero might be obvious, but the antagonist has a point, too. 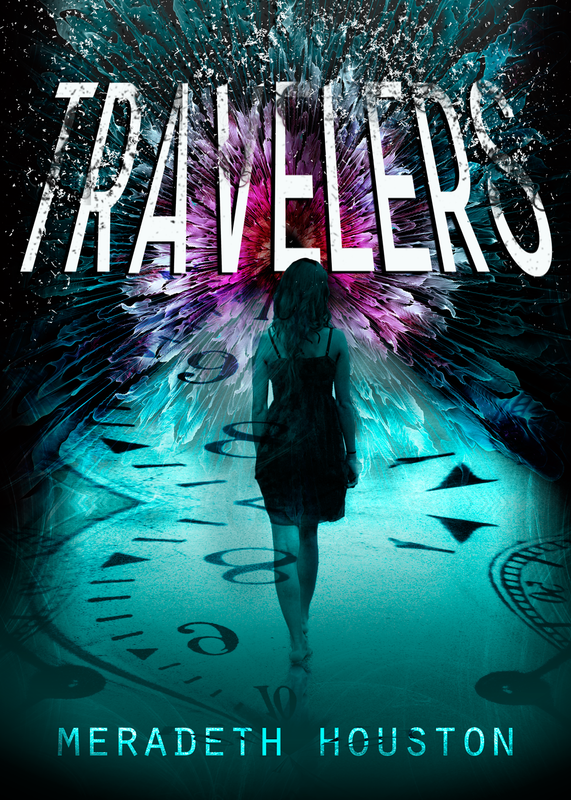 So, the reason I bring this up is because Joan, the antagonist of Travelers, was kind of tricky to write, because all the way through the story I found myself almost wanting her to get her way. She didn’t like the rules she had to live by because it meant her twin died, so she did something about it. And she did an amazing job. But there were consequences that made what she did pretty horrible for Sienna, the story’s hero, which is what plays out in the book. Still, Joan’s attitude had a completely logical foundation, one based on ideas I could understand and sympathize with, so there were a few times when I thought about letting her “win” while writing. The role that Joan plays in the book is one I really enjoyed exploring…probably because I love a good bad guy. Who’s your favorite antagonist from a book or movie? Sienna Crenshaw knows the rules: 1) no time traveling beyond your natural lifetime, 2) no screwing with death, and 3) no changing the past. Ever. Sienna doesn’t love being stuck in the present, but she’s not the type to to break the rules. That is, she wasn’t the type until her best friend broke every one of those rules to keep Henry, her twin brother and Sienna’s ex-boyfriend, alive. >She’s a Northern California girl who now braves the cold winters in Montana. >When she’s not writing, she’s sequencing dead people’s DNA. Well today I finally get to go back to my roots a little, as a writing blogger. Hmm. Sorry, that’s a bit of a terrible way to put it. I blog about writing. Sometimes I blog about my own writing progress, other times I dig into some aspect of writing for whoever feels the need for advice and/or information. If you think about it, complex characters are the Holy Grail of characterization. It’s something even some best sellers fail miserably at. Not naming names, but I’m sure you can find a few in your memory where their books had great plot, but almost no character depth. I also get the feeling that, if you found this post in a search, you’re probably plot-driven writer. There’s nothing in the world wrong with that. You’ll write page-turners, with your natural sense of plot. You also know that flat characters are standing between your novel and brilliance. Complexity isn’t easy to create, though. Yet it is. Sorry. I know this seems confusing, but bear with me. Now I’m going to briefly confuse you more. In my own experience of writing, creating a complex character is about not creating him or her. It’s simply about creating a character. But you’ve done that, you might say. Yes you have. What you haven’t done, is give the reader subtle glimpses of the character’s other sides. Yes, the baddy is amazingly evil. Why? Did someone hurt him? Is he secretly an idealist? Only you know. If your answer is that the baddy is evil because he’s evil, odds are he’s flat. Same goes for your protagonist. No person is perfect. And flat, perfect guys are boring. I’m not saying you should go and change the character into an anti-hero. Anti-heroes can be flat too. Because they’re just assholes who stumble into saving the day. Everyone has good characteristics and bad ones. Everyone has things they want and don’t want. Everyone has bad moments. Everyone has good moments. For an excellent and recent example of what I mean, watch Skyfall. The villain is capable of terrible cruelty. He’s smart, ruthless and willing to kill to get what he wants. And what he wants is to destroy M.
But. He’s not all about murder and bloodshed. A significant portion of him is, yes. But there are moments when M makes him cry. He’s even capable of being incredibly gentle and caring. When he tries to convince Bond to go rogue, he tries to make it look like it’s the sensible thing to do. It honestly feels as if he’s doing it because he thinks he’d help Bond. After all, if he didn’t give a damn, he could have killed him. On the other hand, it might be because he knows he’d hurt M by turning Bond against her. All of that going on with a single villain. Giving the character a chance to show more than one side to their personality. Your job is to do it with subtlety. Which is the hard part. How do you write complex characters? Before I go, I want to let you know that I’m willing to answer any writing and edit-related questions on my blog and by e-mail. If you have one, please contact me at mishagericke(AT)gmail(DOT)com. OOH yes! Don’t forget to check out my Word Master Challenge. It’s a great, fun way to stretch your writing skills and there are prizes to be won.